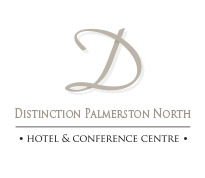 Distinction Palmerston North Hotel & Conference Centre is located in the hub of the city's buoyant CBD. We are proud to be able to offer one of the largest conference venues in the lower North Island, with extensive on-site professional conference co-ordination services to fulfil all of your event requirements. Our Manawatu conference facilities cater for 2 to 500 delegates and the hotel boasts 85 well appointed modern guest rooms. Our position close to the CBD, convention centre, major attractions, shopping and dining makes us the ideal Palmerston North conference venue. Our hotel specialises in meetings, functions, weddings and conferences. Our six meeting rooms feature natural light, and have a maximum capacity of up to 500 people (theatre or cocktail style). These versatile function spaces can be configured for small boardroom meetings, banquet settings, and almost anything in-between. No set-up is too big, too small or too difficult. Manawatu is becoming one of New Zealand’s leading conference destinations, offering a range of activities that can be tailored to suit your requirements. Within 90 minutes drive from four major cities, this central region is the ideal location. Whether you are planning an exhibition, conference, gala dinner, tradeshow, cultural or sporting event, the Manawatu is the place to be. AV and presentation equipment can be arranged. Our conference team will work to ensure your event is successful and memorable. Affordable catering and accommodation packages are available. The hotel’s on-site, cosmopolitan Nosh Restaurant and modern lounge bars; Bar One7Five and Cuban Bar all serve delicious meals and drinks daily. Please scroll down for more information about our various Palmerston North function rooms or click here to contact our Distinction Palmerston North Conference Coordinator. 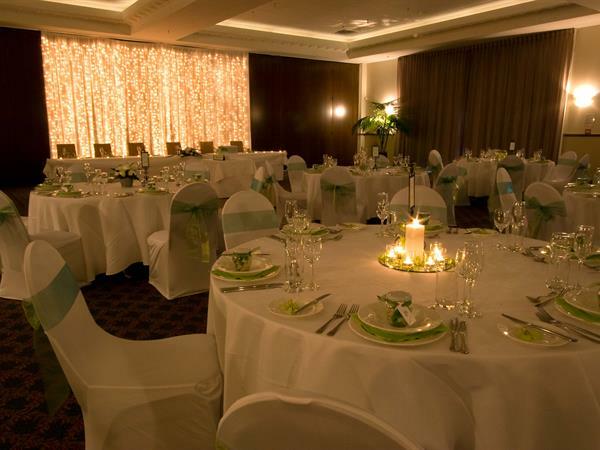 The 2 adjoining Carlton Rooms are often used to accommodate large Palmerston North conferences and functions and can be opened up to create an elegant 574sqm Ballroom. The ideal small meeting room in Palmerston North catering for up to 10 delegates. A versatile Palmerston North conference and meeting room that can cater for between 24 - 50 delegates. A very popular outdoor area for Manawatu wedding ceremonies and functions. Our range of venues allows us to cater for the smaller, intimate wedding or meeting through to our Carlton Room for up to 500 people. View our Palmerston North Function Rooms Capacity Chart.